The objective of the stakeholder interaction in WP1 to facilitate the accomplishment of the specific objectives, particularly SO4 (development of management plans), SO6 (development of tools) whilst analysing the interactions and decisions taken by the stakeholder. The work in WP1 will focus on involving stakeholders in creating solutions for the policy context in CSs. WP1 brings together the resources and competences of different stakeholders to support improvements in management by: i) allowing for adaptiveness of the management system, that will be tailor-made for the particular contexts in which it operates; ii) gathering insights from the main players in the area; iii) addressing constraints identified in other WPs; and iv) providing feedback on FarFish’s intermediate and final outputs by measuring the applicability of each management strategy. The overall objectives of WP2 relate to SO1 where the aim is to advance knowledge and collate data related to biological characteristics of the main fish stocks in the selected fisheries, and to evaluate the appropriateness, relevance and applicability of stock assessment models currently in use for these fisheries. The work within this WP will focus on the biological and ecological status of resources within the selected case studies. The scope will include analysing the current status of relevant stocks and the ecosystems they live in, as well as investigating how the stock assessments are made, what the data availability is, how data is gathered (for example how target catch, by-catch and discard data is registered) and what models/tools are used for stock assessment and decision making on TAC. It will also seek to advance biological and ecological knowledge in the case studies by compiling and making available information that has been gathered by other sources, but is not readily available e.g. data collected by the Nansen project and other national and international initiatives. Given the extremely high costs associated with gathering new biological and ecological data within the case studies, the project will not be able to collect such information by employing research vessels, but WP2 will however develop a self sampling plan where the EU fishing fleet will be engaged in a programme to collect data and samples to improve biological and ecological knowledge and therefore contribute to improved stock assessment and management. This WP will also be responsible for creating a Data Management Plan under the H2020 Open Research Data Pilot. SO2) To map and analyse the value chains of the selected fisheries and their current infrastructure and to suggest improvements to ensure future sustainability, profitability and predictable provision of seafood. The work within the WP will focus on mapping and analysing the case study value chains, including relevant economic, social and legal considerations, as well as existing infrastructure and governance structures and practices. 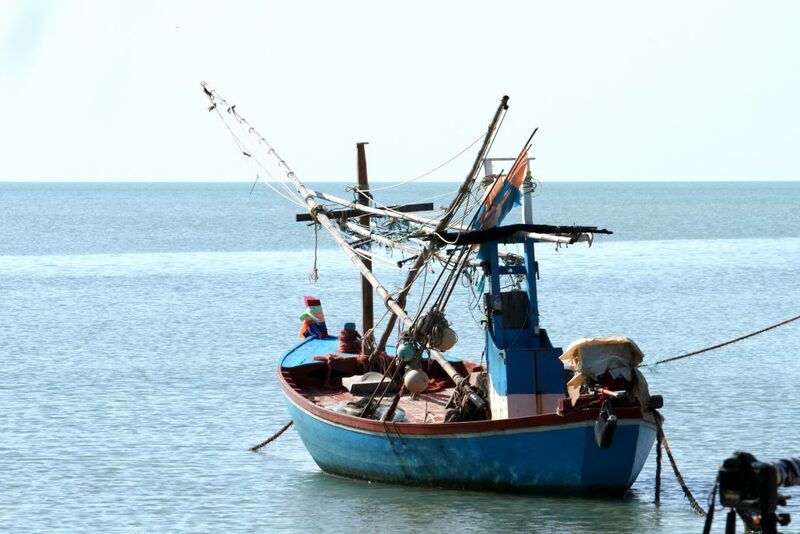 The WP will produce policy recommendations based on the governance and value chain analysis, suggesting potential improvements in the fisheries governance systems. WP3 will also represent the Authority within the RFMS framework in FarFish. That includes identifying overall objectives of the fisheries management systems in each Case studies, developing management plans invitations, general guidelines for making management plans and approving/rejecting management plans. The overall objective of WP4 relates to SO4, which is to develop flexible, dynamic and ready-to-use management plans in close collaboration with stakeholders based on RBM principles for the selected fisheries, containing measures for approaching Maximum Sustainable Yield levels. This will be achieved by developing management plans for each of the selected case studies following the general guidelines provided by WP3. The work within this WP will concentrate on developing management plans for each of the case studies following the general guidelines provided by WP3. 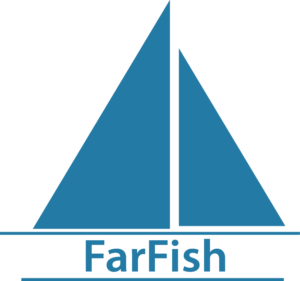 The diversity of case studies allows FarFish to develop relevant support for the range of different high seas fisheries and SFPAs, taking into account differences in data availability, assessment methods, control and enforcement, and management capacity. Management plans proposals will be developed based on the requirements and guidelines detailed in the management plans invitations. The scope of the management plans will be defined in cooperation with stakeholders in each case study with support from WP1. The scope may range from sustainable production plans for a given fleet group/fishery, making them responsible and accountable for a specific share of a given fishery to comprehensive management plans to achieve MSY for a given stock or set of stocks. Each case study will have a FarFish case study team, led by local case study leader, and members from WPs with expertise needed to develop different aspects of the management plans. The overall objectives of WP5 relate to SO5, which is to evaluate the relevance, applicability, sustainability, costs, benefits and compliance with overall goals for the management plans developed by WP4, and to provide feedback on feasibility and a road-map for potential implementation. The management plans developed for each case study in WP4 will be audited in this WP and the results sent to the authority in WP3 and the operator in WP4, creating a basis for improving the general guidelines for making management plans, the management plans invitations and the management plans developed in the next iteration. The WP will also suggest improvements/solutions to challenges identified in the value chain mapping in WP3 and estimate associated costs and potential gains. This WP will as well perform a cost-benefit analysis on potential investment opportunities for the EU fleet in SFPA countries e.g. investment in national processing sectors. Finally, the WP will provide policy recommendations for implementation of RFMS in international- and SFPA waters. The overall objectives of WP6 relate to SO6, which is to develop general fisheries management- and other decision support tools. Provide recommendations relating to data sampling, stock assessment methods and MPs, including when data availability is poor and degree of control and enforcement is low. This means that the WP will provide the CS with the necessary visualisation- and decision support tools needed to develop applicable MPs and predict the effects of their implementation. The overall objectives of WP7 relate to SO7, which are to provide education, training and dissemination to stakeholders within the value chains of EU fisheries in international- and SFPA waters, and to improve their professional skills and regional networks. WP7 will focus on improving professional skills and competences of stakeholders within the CSs and beyond, within the field of fisheries management as well as disseminating the project itself. The work will include education and knowledge transfer to a large variety of stakeholders within the respective value chains, utilising solutions such as infomercials, social media, workshops, webinars, Tutor-web, etc. A special university level diploma programme in Marine Management and Innovation will be set-up for decision makers within the CSs, which will be made up by short courses taught by different FarFish institutions. The UNUFTP will as well organise a six-month programme tailored for FarFish, where people already working within the CS can get in-depth knowledge on fisheries management. Dissemination of the FarFish project will utilise a variety of social media approaches and other dissemination alternatives. Overall co-ordination and management of the project, including the organisational and financial responsibility for the project. – Ensure the start of the project, full participation of all partners so the contract is executed in a timely and efficient way and that all project objectives are met. – Preparation, carrying out and post-processing of major project meetings such as Steering group, advisory board and plenary meetings (tasks: agendas, invitations, location of meeting places, organization of rooms and equipment, preparation, distribution and archiving of materials, minutes and action lists). – Ensure liaison with – and reporting to – the contracting unit and conduct it in a way, which complies with the rules and renders maximum support to FarFish’s implementation. – Monitor the expenses and allocation of the budget; ensure accurate and timely financial reporting. – Activate and maintain a communication framework, appropriate knowledge management, and fulfilment of responsibilities towards the European Commission and Consortium commitments, including gender equality issues. WP8 will set up and maintain the administrative framework of FarFish and is responsible for the overall management of the activities, the organisation of major project meetings and communications with the Commission. The responsibilities for project management tasks will be split between the Co-ordinator (CO), Administration Manager (AM), and the Project Management Group (PMG). The administration manager (AM) is responsible for project administrative and financial management tasks. The AM will be supported by the PMG. The AM is responsible for collecting reports and financial statements from the participants. Each participant has a representative person called “Partner Manager” (PM) who will be responsible for reports and financial statements. All partners will meet in conjunction with annual project meetings. This work package sets out the ‘ethics requirements’ that the project must comply with. Detailed information must be provided on the procedures that will be implemented for data collection, storage, protection, retention and destruction and confirmation that they comply with national and EU legislation. Detailed information on the informed consent procedures that will be implemented in regard to the collection, storage and protection of personal data must be submitted.